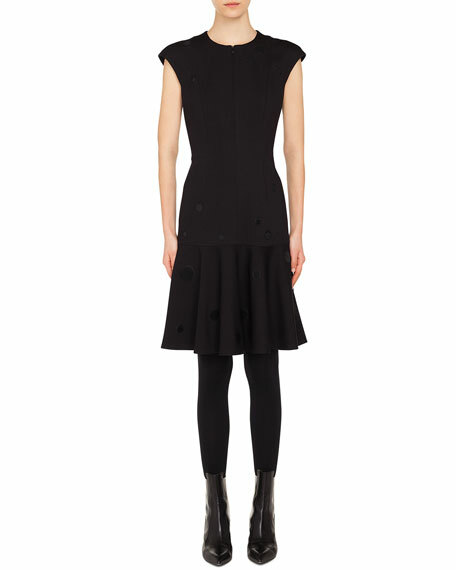 Akris punto dress in perforated punto dots. For in-store inquiries, use sku #2333534. 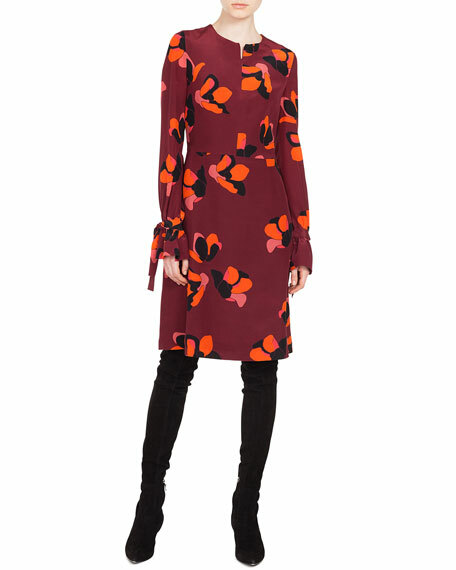 Akris punto silk dress with anemone-print silk. Round neckline; 1/4 zip front. Long sleeves; ruched tie cuffs. A-line silhouette. Hidden back zip. Knee-length. Lining, viscose. Imported of Italian materials. 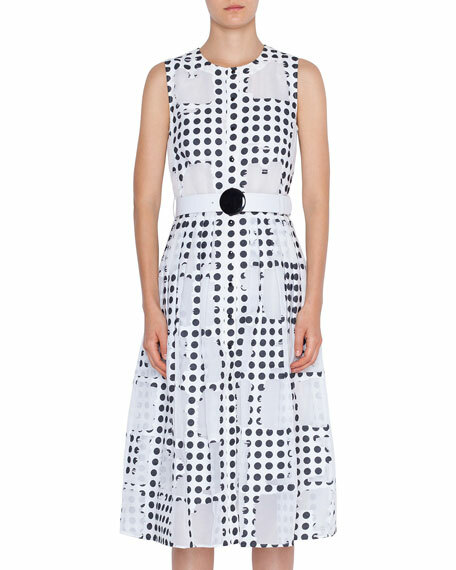 Akris punto dress in polka dot windowpane print poplin. Crew neckline; snap front. Sleeveless. Belted waist. Side seam pockets. Midi length. A-line silhouette. Cotton/polyester. Imported. 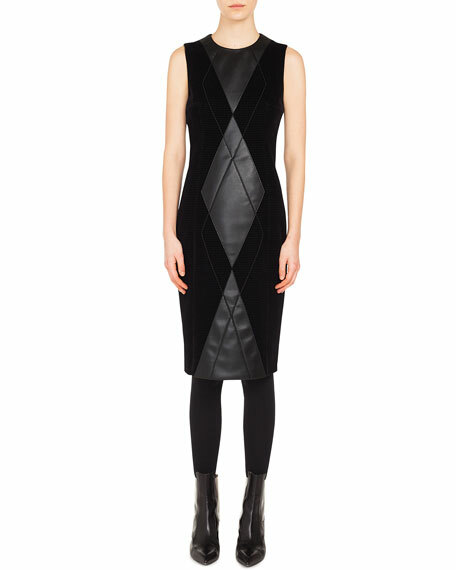 Akris punto dress in houndstooth velvet. Argyle faux-leather (polyester/polyurethane) front. Crew neckline. Sleeveless. Sheath silhouette. Hidden back zip. Midi length. Viscose/nylon/spandex. Lining, acetate/spandex. Imported.